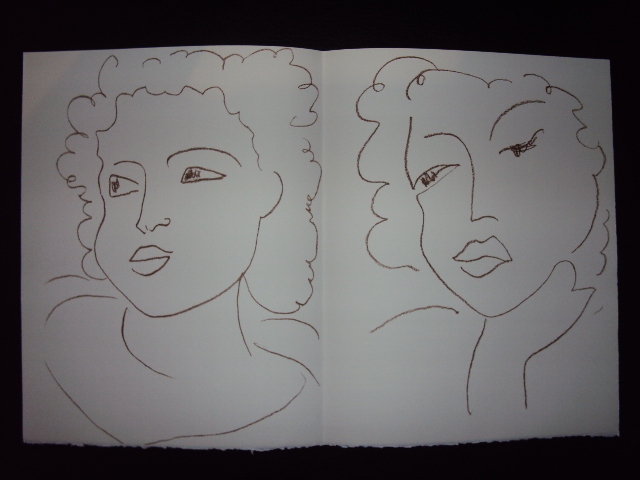 From 1941 to 1944, Matisse dedicated conspicuous time and energy to book illustration. During this time, he produced some of the most impressive illustrated books of the century including (this is not an exhaustive list) Poèmes de Charles d’Orleans, Jazz or Poésies Antillaises…. 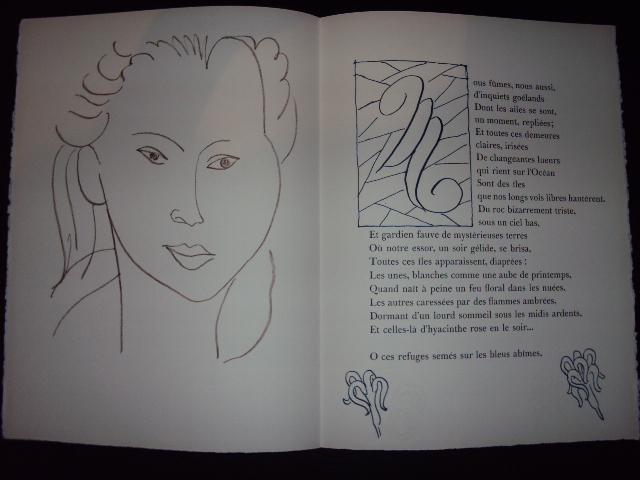 Poésies Antillaises is probably one of the most sought after illustrated books realized by Henri Matisse. It contains – in its normal edition- 28 full pages original lithographs to which you can add a lot of smaller drawings and doodles all around. In 1945, following the success of the series of lithographs inspired by Reverdy’s poetry under the title Visages, Matisse began working with several exotic models for the illustrations of an ambitious suite of lithographs. 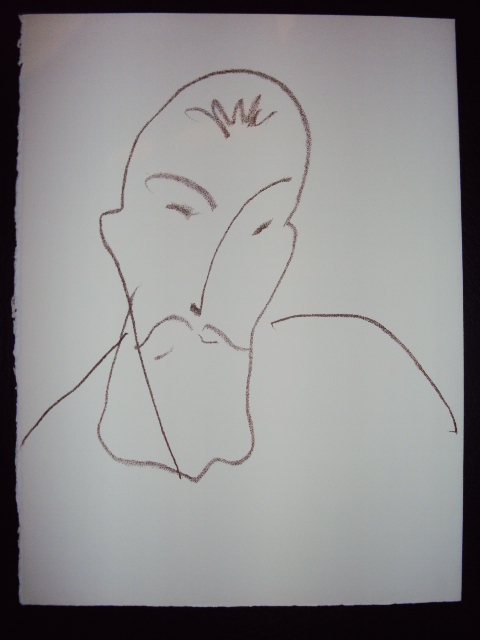 Matisse made these lithographs in homage of his dear friend, traveling poet, John-Antoine Nau. The two men formed a bond of friendship because of a love they shared for Martinique , a woman that had brought them together. Matisse composed this suite of lithographs with the matching poems by his friend, much like he had Ronsard or Charles d’Orleans, himself choosing the poems which inspired him. Nau’s poetry took its themes from voyages in the Antilles and in particular to Martinique where the facial sculpture of women from the Islands, with their exoticism and richness, was a great inspiration. 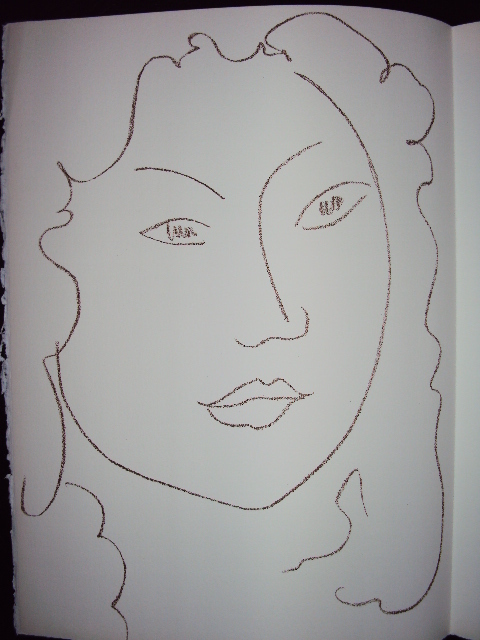 Matisse first met him with Signac many years before in 1905, and had great admiration for his poetry. 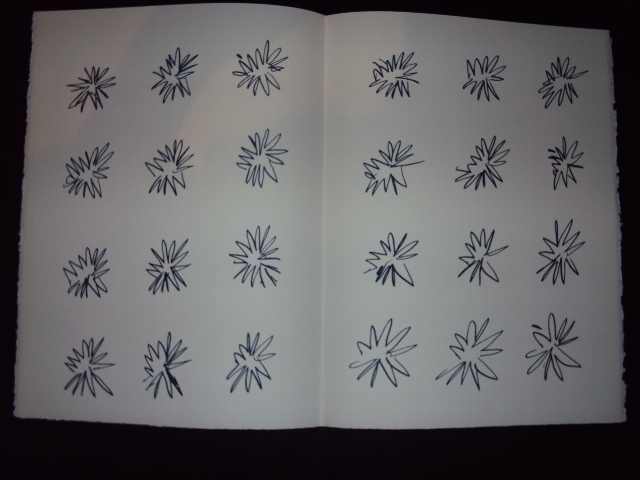 Matisse completed and proofed all the stones for the Poésies Antillaises series in 1945/46. However for some reason the actual edition of the album was never pulled at that time. At the urging of Henri Matisse’s heirs, the work finally appeared in 1972, almost 20 years after Matisse’ death by the renowned publisher Fernand Mourlot, who scrupulously followed both Henri Matisse’s maquette and the final corrected proofs signed by the artist. Poésies Antillaises is a beautiful example of the extraordinary gift for drawing, the ability to incorporate and to express so much through line reduced to its simplest form, which was one of Matisse’s greatest legacies to 20th century art. More interest in this book visit artisonlinestore. 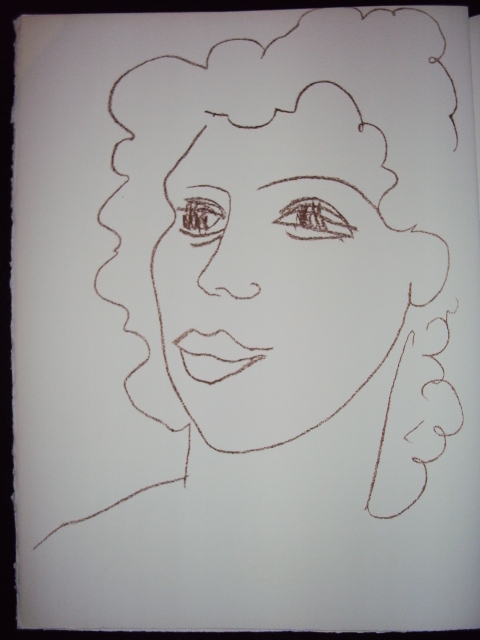 This entry was posted in Our prints & Ilustrated books. Bookmark the permalink.